Yeah, but I'll bet modern man is better at representing the motions of Super Mario. That cannot be! With evolution, we only keep getting better at everything. It's simple. When you hunt a beast of this size, you had better understand its gait very well- or learn its gait from underneath it. Our forebears were connected to nature in ways that we've lost. We have DE-volved in some respects. 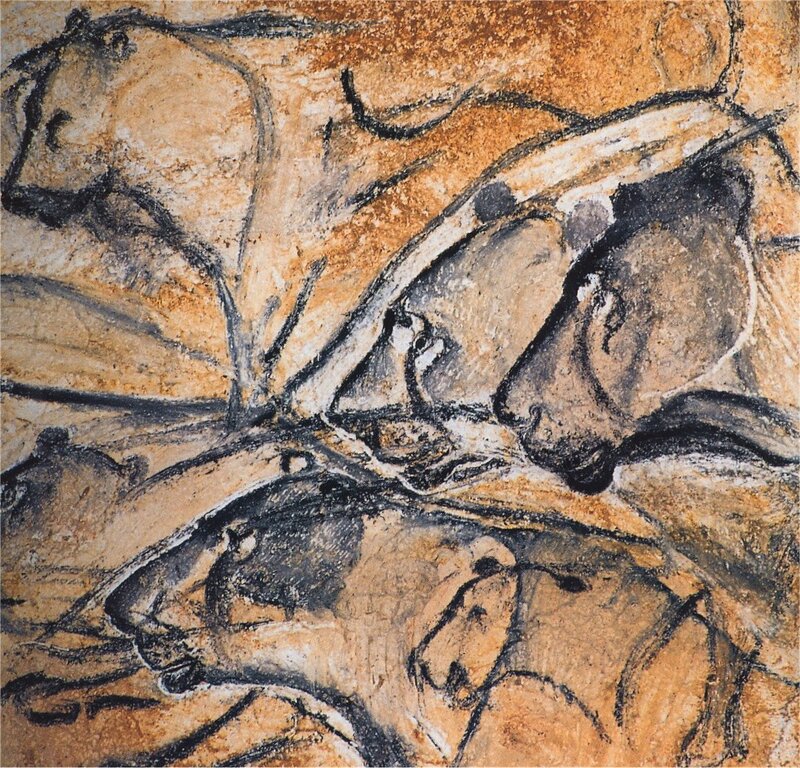 A nice film document about paintings in Chahuvet cave, many of them are of high artistic value and they even imitate motion and 3D effects in the blinking light of fire. The artist who made this image was truly a gifted individual. It's fascinating to me that the proportions are wrong, yet so right (no adult pachyderm species was ever this lanky/gangly). The emphasis is certainly on the gait. I wonder what species it represents? There is no evidence that "evolution" always 'improves' things. Humans are allegedly 'evolving' into dumber beings. In fact, the evolution of intelligence was the single-worst event in the timescale of planet Earth. It has left the entire planet foundering. If we can manage to colonize other planetary bodies it will all be worth it. Where humans go earth based life automatically follows. @rod_russell_9 That cannot be! With evolution, we only keep getting better at everything. These ancient artists grew up seeing these animals at every point in their life and in all seasons. They new the physiology of these animals based on hunting and butchering these same animals and would have had an intimate an encyclopedic knowledge of them. 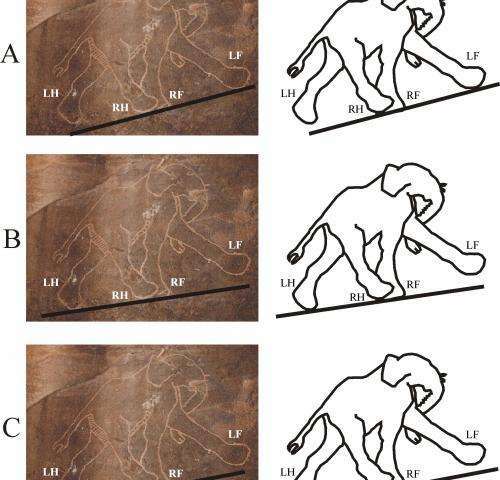 It is no guess that with this knowledge of anatomy they were able to produce very accurate depictions of these ice age animals including seasonal and regional shadings and coloration's as depicted in the cave paintings of Europe and other continents. Evolution can work in retrograde, too: it is not impossible to evolve until a species reaches a dead end and has a difficult time to survive. Unless a drawing is meant to be a scientific representation then art cannot be said to be 'right' or 'wrong' because the entire perceived reality is a construction of the mind. With before it was possible with photography to capture the stop motion of horses galloping, artists painted what they perceived to be reality. If their depiction was meant to be scientific then they were 'wrong', if it was a representation of reality as perceived by a human being then it was 'right'. Is Picasso's representation of women in Les Demoiselles d'Avignon any less accurate a representation of reality as say the dutch masters of photorealistic paintings of bowls of fruit on elaborate persian carpets. Art as a representation of reality is peculiar to human beings and there is no way to judge it against so called 'reality', if it is art and not science. Even science could have a problem with regards to the wavelength of electromagnetic radiation reflected. Is 'reality' what we see or a bee sees? "Better" is subjective. I've never seen an elephant look like that before.